► Format of Article: Manuscript (in English) must be typed (double space in MS word, Times New Roman, 12 Font size) on one side of A4 size paper. 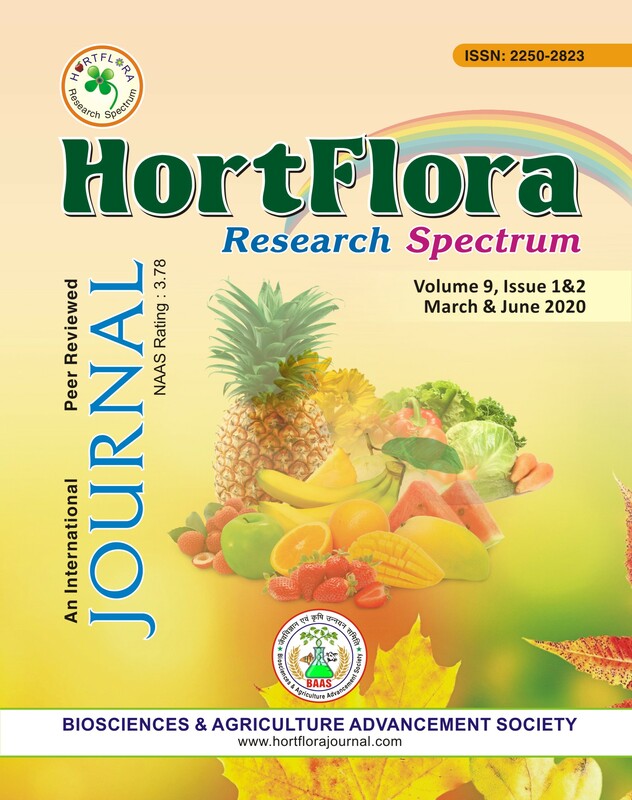 References cited must be properly incorporated in the text along with their serial number in bracket in place of year (Authors are advised to consult latest Volume/Issue of the Journal before submission of manuscript). Photographs must be in JPG format. Figures & illustrations must be clear and dark. A whole manuscript of full length paper should not exceed 10 pages, and a review/strategy paper should not exceed 15 pages including tables & figures. 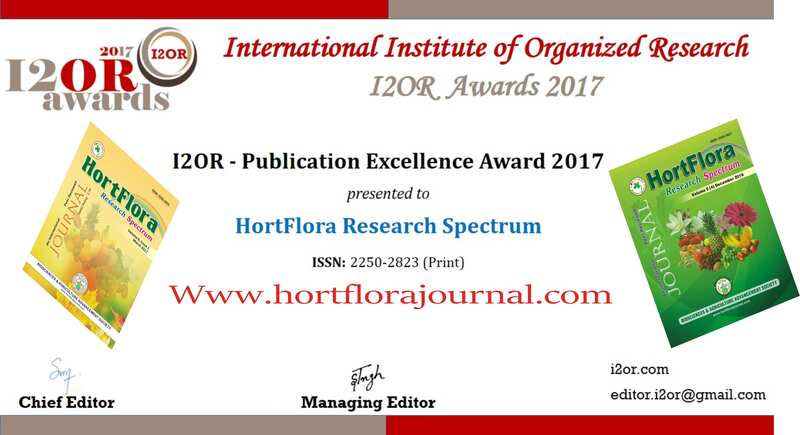 ♦ Title of the Article: Title of the paper must reflect the innovation of research work. The title should be written in all capital MS words and bold in 16 pt font (not more than 30 characters). Scientific names in title should not be capitalized. ♦ Author (s) Name: The first letter of name should be Capital other small letter , Bold in 11 pt Times New Roman. If there are more than one authors from different institutes, they should be properly marked as 1, 2, 3, and so on. Just below the author (s) name, the Full address of their respective Affiliation must be given, marked properly as 1, 2, 3, and so on. ♦ Abstract: It should be brief, not more than 200 characters, in 11 pt font size, single line spacing. ♦ Keywords: Not more than five, italic. ♦ Introduction: Without heading, 12-15 lines, double space, short, precise fulfilling the objectives of the study. ♦ Materials and Methods: Heading in capitals, Full detail of materials & methods used for experimentation, collection & analysis of data. ♦ Results and Discussion: Heading in capitals, Focusing on the fulfillment of stated objectives of the experiment, statistically analysed data presented in the form of tables/figures/photographs. Duplication of data in table and figure should be avoided. Results in form of trends, rathe than numerical value should be discussed in light of authentic available literature. Reference should be properly incorporated in the text along with their respective serisl no. in place of year, e.g. Jayawardena (1), Johnson (2), Kapil and Arora (3), Rashid et al. (4) etc. Generic and specific as well as vernacular names should be italicized. ♦ Table Figures: Tables, figures, captions and illustrations should be given in separate sheet/page properly numbered in Arabic numerals in order of their reference. ♦ Acknowledgement: If applicable, i.e. only for financial supporting agency. ♦ References: In full length papers and in research notes, the number of references should not exceed 15 and 8, respectively. In review/strategy papers it may vary up to 25-35. At the end of the text, references should be arranged alphabetically with proper serial No., Surname first, year in bracket, full title of work, journal name in standard abbreviation and italic, Vol. No, bold, Issue No. in bracket, Page No. e.g. 1. Jayawardena S.P. (2013). Effective inoculation method and optimum concentration of Oryctes virus for biological control of coconut beetle (Oryctes rhinoceros) adults. HortFlora Res. Spectrum, 2(4):319-323. 3. Kapil R.N. and Arora S. (1990). Some fascinating features of orchid pollen. J. Orchid Soc., 4 (1):9-28. 4. Rashid S., Ashraf M., Bibi S. and Anjum R. (2000). Antibacterial and antifungal activities of Launaea nudicaulis Roxb. and Launaea resedifolia L. Pakistan J. Bio. Sci., 3 (4): 630-632.